The 2018 season opens this week, and with it comes the annual debate about who should be leading off the Blue Jays lineup. Toronto has not possessed a prototypical leadoff hitter for a few years now, which has resulted in John Gibbons rolling out some fascinating lineup configurations in recent memory. Along with the leadoff debates come with them the clashing ideologies about how lineups should be constructed. The debate between the sabermetricians and the traditionalists has been raging for some time now, but all the while teams have been adopting combinations of the two styles to best position their clubs to win games. Today, we are going to take a look at what the Blue Jays lineup should look like from a purely analytical point of view, and see if this is really what would be best for the team. We can look at The Book to find what an “optimized” lineup might look like. For those unfamiliar, The Book: Playing the Percentages in Baseball was written in 2007 by Tom Tango, Mitchel Lichtman, and Andrew Dolphin, exploring the different ways that strategic decision-making could be better implemented and improved in baseball. While it looks at various facets of the game, perhaps its biggest impact has been on how thinking has evolved with regards to lineups. The Book’s research on optimal batting order essentially manifests in a table with the expected run values by each batting event, adjusted for both position in the batting order as well as the difference in plate appearances for each spot in the lineup. For example, while certain events may be more valuable coming from the #4 position than the #2 spot, the larger number of plate appearances the #2 hitter receives help make up some of the difference. Using these values, the authors of The Book came up with a general outline for lineup optimization. These rules have been steadily finding their way into the game in recent years, with more and more managers bucking traditions such as placing the speediest players in the leadoff spot or the most powerful hitter in the cleanup position. What the authors of The Book didn’t have when they outlined these rules, however, is a specific team in mind. Their instructions were made to be taken as guidelines, as the optimal lineup will look different for many different teams due to the skill-sets of the players who occupy them. If we wanted to look at what the optimal lineup would be for a specific team (say, the 2018 iteration of the Toronto Blue Jays), we could take a look at it through the lens of the previously mentioned expected runs table. Using this table in combination with PECOTA’s 2018 projections, plus the help of the trusty old Excel Solver add-in, we can figure out which sequence of hitters will optimize the Blue Jays’ expected runs scored this season. A little background on how we get to the results is necessary. Instead of using the raw values of batting of events (i.e. total number of singles, doubles, etc. ), we are going to adjust it per plate appearance, so that the plate appearance projections don’t include any adjustments for expected position in the batting order. It is important to note that The Book dissects and discusses topics like lineup construction from an objective point of view. Other factors will certainly to come into play, such as player comfort in certain spots, and the psychological benefits of a hierarchical lineup. Finding a way to achieve peak performance for all of a team’s players should be the manager’s top priority, which is why lineup optimization doesn’t occur as frequently as sabermetricians strive for. *This lineup was projected with Yangervis Solarte as the starting SS. This isn’t a prediction, as he was inserted simply because his offensive projections were better than those of Aledmys Diaz. Inserting Diaz instead and running the program again slots him 8th in the lineup, with Devon Travis moving to 5th. This is a rather interesting lineup to look at, and brings up some intriguing questions about how the Blue Jays lineup could be constructed this season. We’ll take a look at some of the more interesting tidbits from this batting order. The first thing that jumps out is the top of the lineup, beginning with Russell Martin. A catcher hitting leadoff would have been a laughable suggestion in years past, but his inclusion here makes a lot of sense. After Josh Donaldson, Martin has the highest projected on-base percentage of all starters this season. While he won’t be stealing many bases, he isn’t a liability on the base-paths and his power output is low enough that starting a good chunk of his plate appearances with no one on base won’t be a huge issue. Justin Smoak hitting second and Donaldson fourth is an intriguing proposition as well. 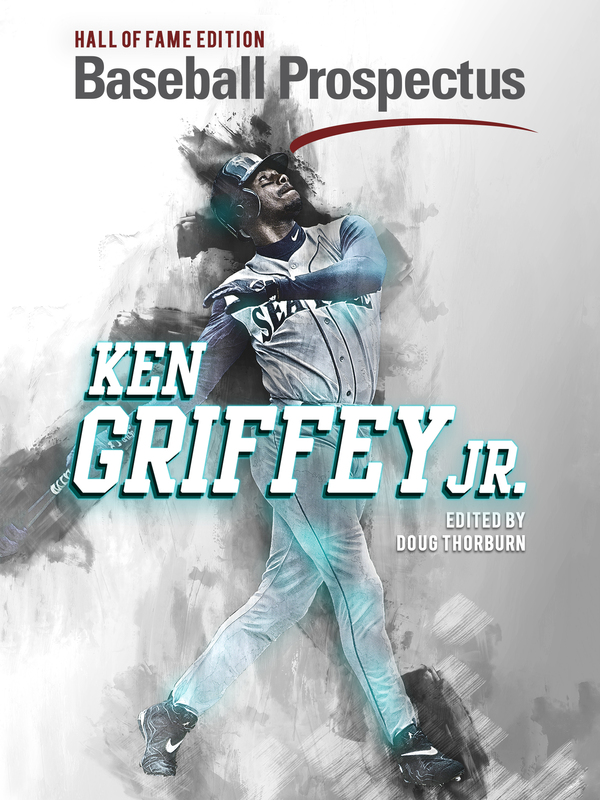 The Book outlines that a team’s best hitters should generally hit in the first, second, and fourth spots. This lineup certainly puts Smoak and Donaldson in those highly regarded spots, but likely in reverse of what would be expected. The accepted wisdom would have Donaldson hitting second so as to give the team’s best player more at bats. Swapping these two so that Donaldson hits second and Smoak fourth results in a difference of -0.28 runs over a whole season, so the order of the two won’t make a world of difference. Still, it is certainly interesting to think about how this sequencing would play out in games, especially in the controlled environment of the first inning. This order would ensure that, barring any early runs scored, Donaldson would either: a) hit with runners on base in the first or b) lead off the second inning in his first plate appearance. Maximizing these types of situations for the team’s best hitter is a great way to generate more runs, and may be worth reducing the total amount of his plate appearances. Randal Grichuk hitting third could be seen as a bit of a head scratcher. Grichuk is projected to have the lowest OBP of any Blue Jays starter this season, and while he has the power to hit in the three-hole, Smoak and Donaldson are better all-around hitters. The outfielder’s placement here has more to do with the overall importance of the #3 hitter rather than anything else. This spot in the lineup is more likely than most to begin with no one on and two outs. This is a situation in which a player like Grichuk is better suited to succeed than others – his high-strikeout tendencies won’t be of great harm with no one to strand, allowing him to freely aim for the home run ball or extra base hit to put someone in scoring position for Donaldson. Yangervis Solarte hitting fifth is also a move that would not likely be thought of as best for the team. However, on a per-plate-appearance basis, Solarte ranks near the top of Blue Jays starters in singles and doubles, and is projected to strike out the least by a sizable margin. With a similar offensive profile to Devon Travis, his replacement in the #5 spot should Aledmys Diaz open the season at short, Solarte has been identified as the best remaining option to cash in and move up baserunners left from the top of the lineup. There aren’t as many surprises filling out the bottom of the lineup as there were at the top, with projected average hitters in Granderson and Morales slotting in at #6 and #7 followed by Devon Travis and Kevin Pillar to round out the lineup. There is a sizable amount of shuffling that could be done in these slots without a meaningful impact on expected run production. While this is what expected run values have determined the optimal lineup would be, it is certainly still a lineup with flaws. For one, it doesn’t take into consideration platoon splits, as it is difficult to project these out into the future. Certain moves, such as hitting Granderson in the leadoff spot against right-handers, could be conceivably beneficial but not measurable through this method of lineup construction. Going further, it would be reasonable to worry about the lack of protection provided to Josh Donaldson, as teams certainly will be less fearful of Yangervis Solarte then they would be of someone like Justin Smoak. The first-baseman himself could also see more intentional walks, should the opposition feel that they are able to strike out Randal Grichuk behind him. Finally, one also has to wonder about the speed distribution in a lineup such as this. With base-cloggers such as Smoak and Morales hitting ahead of the likes of Grichuk, Travis, and Pillar, potential base stealing and advancement opportunities are sure to cut down by a non-insignificant margin. 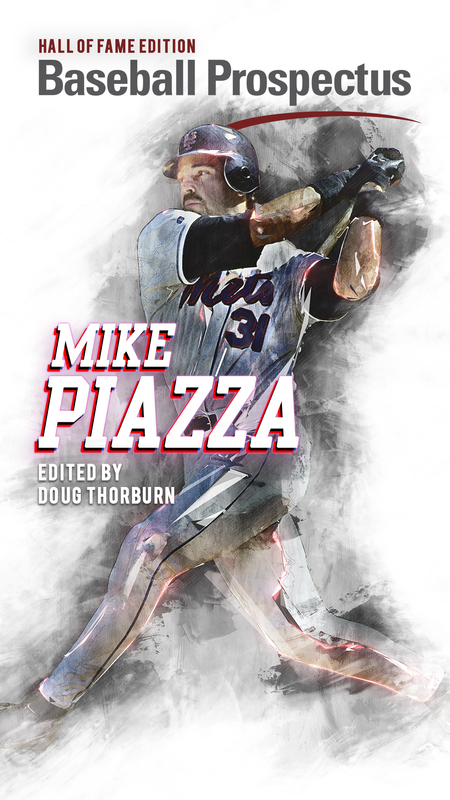 The Book comes to the conclusion that base stealers can be leveraged by being slotted ahead of extreme singles hitters, and that while they don’t necessarily need to be base stealers, good baserunners should be ahead of the teams best hitters. Some extra re-positioning could be done to accomplish this should it be desired. This lineup, projected out over a full season, can be expected to score 2.54 fewer runs than the “optimal” lineup. While this difference is certainly not zero, John Gibbons is doing a rather decent job with structuring his lineup in a way that maximizes output while taking into consideration other factors. The Book estimates that the difference between a team’s best and worst lineup would be around 10-15 runs, so it’s a good sign that our projections fall within this range. Looking at it realistically, the above lineup is something that would absolutely never happen, and the fact that doing something this unthinkable would only cost the team 11 runs shows that lineup construction offers only marginal benefits. Still, the Blue Jays are projected to finish in a position in 2018 where the marginal wins mean the most, so any extra value that can be uncovered should be welcomed with open arms. While there won’t be a call to arms if the “optimized” lineup isn’t used by the Jays, some of the moves could be explored further to see if they are worthwhile pursuing. 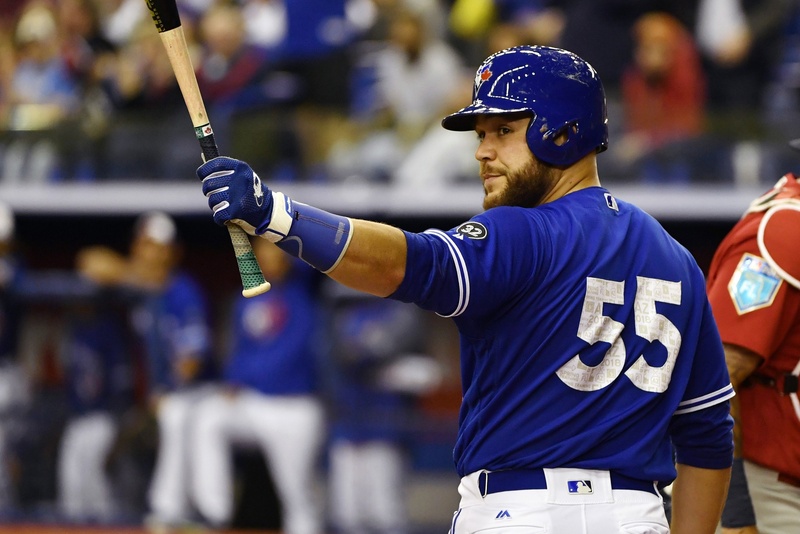 In particular, rolling out a top four of Russell Martin, Justin Smoak, Randal Grichuk, and Josh Donaldson, in whole or with some slight changes, could be a great way to kick-start offense in the early innings. While it wouldn’t be the most traditional lineup, it could be a way to grab an extra win or two. It would be a whole cheaper extracting that value from lineup construction rather than from a trade. Wouldn’t pitchers pitch around Donaldson to get to Solarte…Especially if Grichuk just struck out?